Can I travel in Europe with carte de séjour? 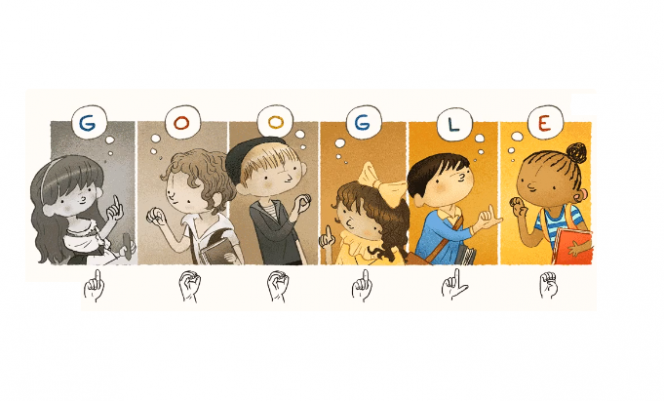 This weekend search engine giant Google paid homage to Charles-Michel de l'Épée, a Frenchman known for founding the first school for deaf children in Paris, and leading the way in deaf educational history. The “Google Doodle” for Saturday November 24 featured an animation of children using sign language to spell the word “Google”. A Google Doodle is the colloquial name given to the image or animation of the word “Google” that is always found above the search bar on the famous search engine homepage. It changes daily, and is commonly used to celebrate anniversaries or significant events, and pay homage to famous people or those recognised for historical achievements. Clicking on the Doodle then takes you to a list of Google Search results for that figure or anniversary, allowing users to find out more. This weekend, it highlighted what would have been the 306th birthday of Mr l'Épée, a Frenchman known as the “Father of the Deaf”. 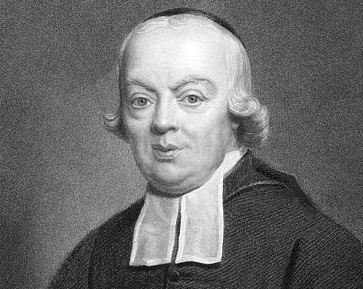 Today is Charles-Michel de l'Épée's 306th Birthday. He is a French educator who founded the FIRST public school for the DEAF in Paris in 1760. Born on November 24, 1712 near Versailles, Mr l'Épée would help to dispel the myth that deaf people were incapable of learning. His work has also often been credited with dismantling prejudice and discrimination towards deaf people in France at the time. Using the inheritance he received from his architect father, he founded the first school for deaf children - in Paris in 1760 - and developed a visual-based educational system and official sign language that did not rely on spoken language or the ability to hear at all. It would come to be called "The Instructional Method of Signs", known in French as "signes méthodiques". Mr l'Épée would also take his system to poorer communities, and help spread education among deaf people in the slums of the capital and beyond. Mr l'Épée was said to have been inspired to work with these areas after a chance meeting with two deaf sisters who lived in the slums, who communicated using their own form of sign language. In his work on the subject, Mr l'Épée wrote: “‘Every deaf-mute sent to us already has a language. He is thoroughly in the habit of using it, and understands others who do. "With it he expresses his needs, desires, doubts, pains, and so on, and makes no mistakes when others express themselves likewise." Mr l'Épée's original school still exists on Rue Saint-Jacques (but now uses standard French Sign Language), and is one of four national deaf schools in France - alongside those of Metz, Chambéry, and Bordeaux.